The world was shocked this week with news of the Pope’s resignation. 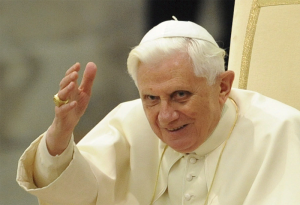 Pope Benedict XVI is the first Pope to resign since 1294 and has cited old age and ill health as his reasons. Of course, for betting fans the news brings a great betting market, only a few hours after the announcement William Hill opened a market on who would be the next pope. Favourite to be given the job is Francis Arinze at 3/1, he is an Igbo Nigerian Cardinal and Prefect Emeritus of the Congregation for Divine Worship and the Discipline of the Sacraments. At present he is the Cardinal Bishop of Velletri-Segni and was considered a contender for the position when the last pope was elected. Not far behind are Marc Ouellet and Peter Turkson at 7/2. Ouellet is the Prefect of the Congregation for Bishops as well as President of the Pontifical Commission for Latin America. In the past he has been archbishop of Quebec. Turkson is a Ghanaian Cardinal and the current president of the Pontifical Council for Justice and Peace, in the past he served as Archbishop of Cape Coast. The elections will take place early next month so be sure to place your bets soon.